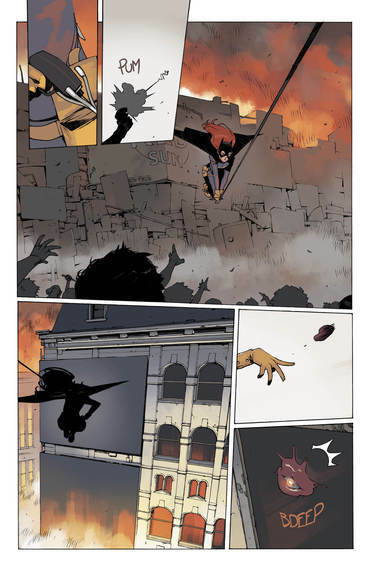 DC Comics has given us an exclusive first look at Batgirl: Endgame #1 written by Cameron Stewart and Brenden Fletcher with art and color by Bengal. 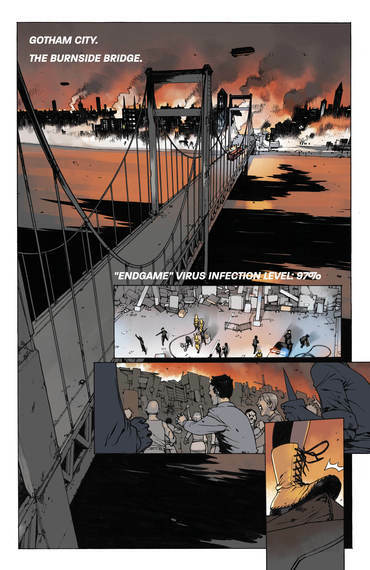 Right now, all the roads in DC's Batman comics are leading toward the conclusion of Scott Snyder and Greg Capullo's "Endgame" storyline, culminating in issue #40. 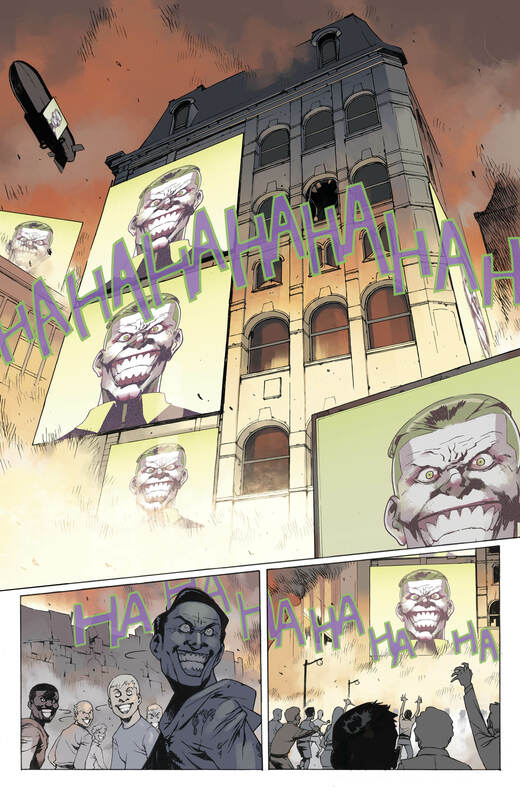 In this preview of the Batgirl one-shot, there's a mob of Jokerized madmen in Gotham City and the only thing standing in their way is Batgirl. This seems to be an issue of few words, which hearkens back to one of my favorite eras of Batgirl, written by Scott Peterson and Kelly Puckett, and drawn by Damion Scott. 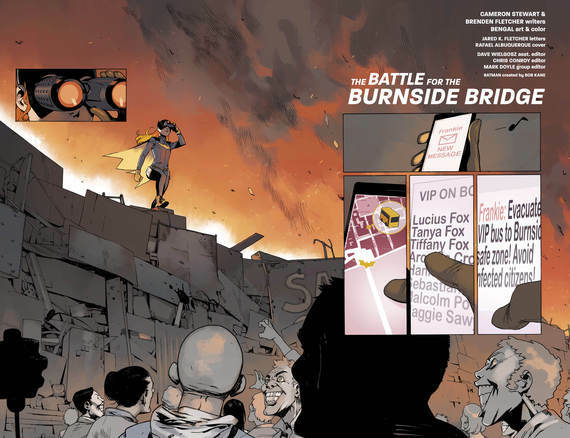 It was actually the first time Batgirl had her own title and it featured Cassandra Cain in the role, a nearly mute martial artist trained at birth to be an assassin. 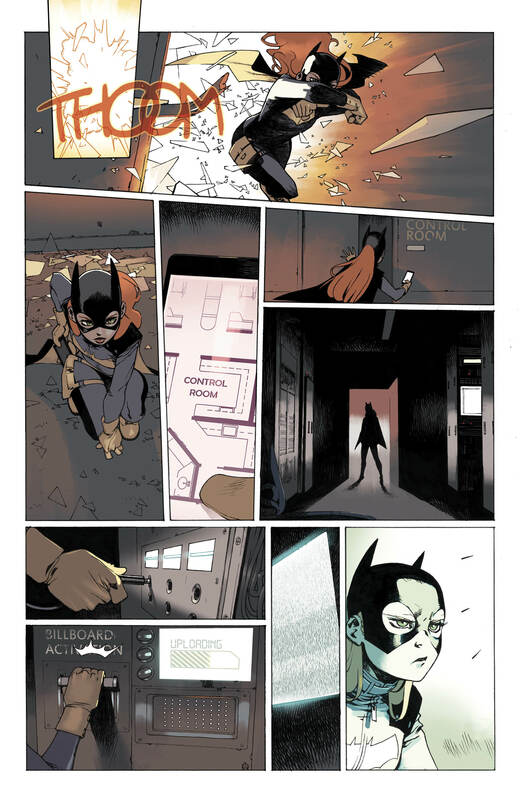 And after looking at these pages, they look absolutely gorgeous and I can't wait to read the rest of the issue. 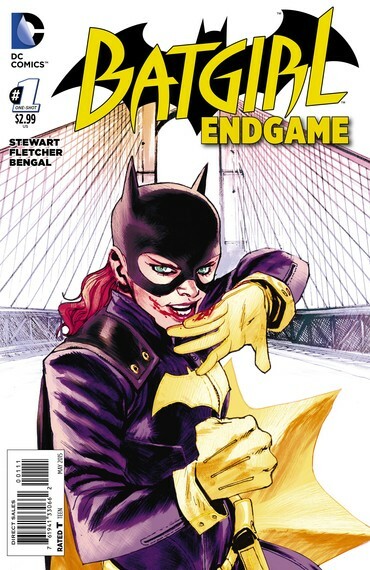 The Batgirl: Endgame #1 one shot comes out Wednesday, March 18, 2015 at finer comic book stores everywhere. Bryan Young is the author of "A Children's Illustrated History of Presidential Assassination" and "The Serpent's Head," the editor-in-chief of the nerd news and review site Big Shiny Robot!, and is the co-host of the Star Wars podcast, "Full of Sith."